. يعمل أنام للشقق الفندقية على ضمان إقامة مريحة لضيوفه من خلال خدماته الممتازة وحسن ضيافته. يقدم الفندق واي فاي مجاني في جميع الغرف, خدمة التنظيف يوميًا, تخزين الأمتعة, واي فاي في المناطق العامة, جولات لضمان الراحة القصوى لضيوفه. تنعكس أجواء أنام للشقق الفندقية في غرف الضيوف.تلفزيون بشاشة مسطحة, اتصال لاسلكي بشبكة الإنترنت (مجاني), غرف لغير المدخنين, مكيف هواء, مكتب هي بعض الميزات الموجود في العديد من الغرف. كما أن مجموعة الخدمات الواسعة الموجودة في الفندق لضمان راحتك تترك لك الكثير من الخيارات لقضاء وقتك أثناء فترة إقامتك. مهما كانت أسبابك لزيارة سيدني، فإن أنام للشقق الفندقية هو الخيار الأفضل لإقامة مثيرة وممتعة. مكتب الاستقبال مفتوح حتى 9:00 PM. الوصول بعد هذا الموعد سيؤدي إلى احتساب رسوم إضافية. يرجى من النزلاء الإشارة إلى موعد وصولهم التقديري في قسم "الطلبات الخاصة" عند الحجز. للأسف لا يمكن تسجيل الوصول من الساعة 12:00 AM إلى 8:00 AM. A place where you feel like home. Close to the city, the train, good food and convenient store. Facilities and cleanliness? A class of their own at a very reasonable price. Checking in and out? It was a breeze. The apartment was extremely clean, well appointed and included daily maid service. It even had a washer/dryer in the unit. EVERY member of the staff was cordial, helpful and very professional. This apartment building is located on a quiet side street right around the corner from many trendy restaurants. Cole’s supermarket is only two blocks away. King’s Cross Station is also nearby for longer commutes but all the major sites in the CBD are within walking distance. We’re already planning a return trip to Sydney with our family and we wouldn’t want to stay anywhere else. Highly recommend this place. A great stay in a very good value for money accommodation. The 1 bedroom unit I was upgraded to is spacious and spotlessly clean. The front desk staff and so were the cleaners were rather friendly and helpful. The only drawback in this stay is there was an ongoing construction project right next to this establishment which starts work at 7am which I can hear from my unit at least. Nevertheless, I will stay here again in my next visit to Sydney; more than satisfied and happy!!!! Excellent stay at Annam apartments, close to Kings cross, the harbour and walking distance to the city. Spotlessly clean and friendly, helpful staff. Well priced for the facility offered. Will definitely stay again! This is a place I would call home away from home. I have everything I need in the "house". Nice apartment with comfortable bed, though not big but the space is good enough for couple with proper dining area, bed, kitchen, bathroom & utilities, living area. Very comfortable stay that makes me feel that I shall reside in this apartment again when I revisit Sydney. I enjoyed my stay. The room has all ammenities and was comfortable. The rooms was situated in the side of a busy road so it was noisy on the Friday & Sat night but it was compensated by being close to all the action. Wonderful experience, room was clean and tidy and very big with kitchen and all (it is an apartment, after all). Cooking gear was clean and decent, although the smoke extractor was a bit weak and the fire alarm went off on us while we were cooking lol. Very good location and although so close to all the night clubs and bars the room was surprisingly quiet at night. Very nice stay for the amount spent. 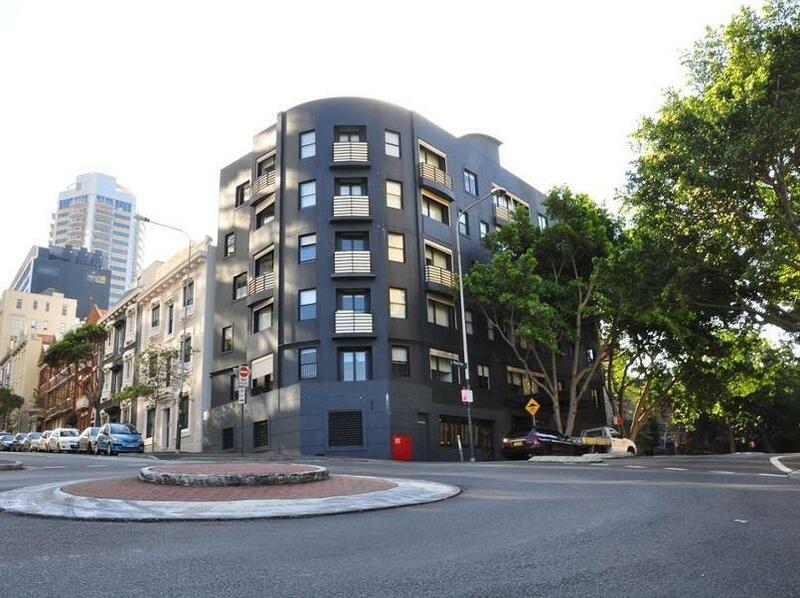 A nice small apartment, located at Potts Point in Kings Cross which is a very happening place. 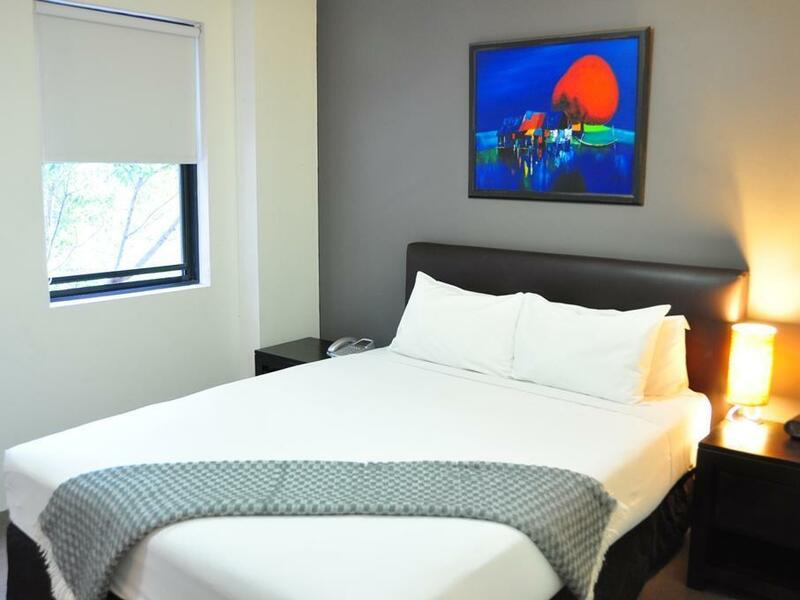 Close to Darling Harbor and the Sydney Opera house it is an ideal place to stay in if you want to explore Sydney. Parking is expensive in Sydney, so make sure you do your research on that. Rest all is good. I am very happy with the our stay with Annam. The room is very big and have all the facilities I need. The bed is comfortable and clean. The location is very convenience and walkable distance to bus stop and supermarket. I was worried about too noisy at the night time which some other comments mentioned, however, I was stayed at 2/F, and I didn't hear much noise even during weekend. My stay with the hotel is in Winter, but, if plan to stay during Summer,it is better to check with hotel, the room I stayed didn't have air conditioner in the bedroom, only at the dining area. The apartment location is quite strategic. Supermarket Coles just near by to the apartment and you can drop by once you get off from King's Cross station. Our room was clean and comfortable, the kitchenette was well stocked for 2 adults. There was a great selection of coffee shops, pubs, bars, restaurants in the area, King's Cross Station is a 5 minute walk and multiple bus routes were a 3 minute walk. As we known, the King's Cross is the red zone since there a lot of pub, and bar, this apartment not suitable for weekend night for those travel with family. by for mine opinion, this apartment reserve 5 star apartment due cleanliness, good staff and everything. We wish we will come again to Sydney and will stay in this apartment again! The staff was very accommodating to offer us a choice of rooms to preview when we arrived. Our room was very self-contained with everything we needed. It was also spacious & clean. The location was excellent, within walking distance to Kings Cross station, restaurants & facilities, which makes our travelling very easy. Even the pickup-point for our tour was at the nearby Holiday Inn at Kings Cross was so convenient! The value for money was so evident after we did a cross-comparison with all the other possible places we could have stayed. Don't worry about the name of the hotel - I would recommend it anytime, if you 're a budget conscious traveler and still want value, comfort & convenience. Very noisy all night and day unable to sleep you need ear plugs would not use again. 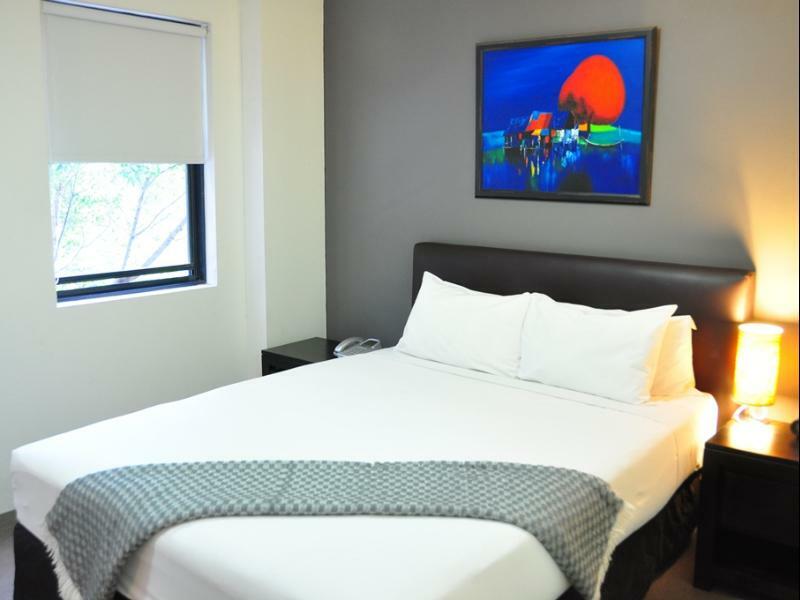 Very nice hotel with large room and everything you could require including comfortable bed. However would only recommend if you are able to sleep with lots of traffic and people noise. Would also like to see the bathroom scrubbed as very mouldy ceiling and tiles. The room itself was good and its a good location for walking to many places (or the train if you don't want to walk) . Three things let this place down: The biggest problem was the road noise, this apartment is next to a main carriageway and route for emergency services that are nearby, the windows do not seal completely and any noise permeates in. The second thing - the apartment was not properly serviced, sinks were never cleaned and we don't think the shower was ever cleaned (in two weeks). Also, the main room was not always vacuumed nor the bed made. Saying that the room was clean on arrival and the towels were changed every day. The third thing was that the WiFi did not work in many room - including ours (room 32). We had to buy a SIM and use a spare phone. The staff on reception were very helpful - even when the City Workers cut off our power for 24 hours.